Are you or is someone you know an amazing amateur baker? 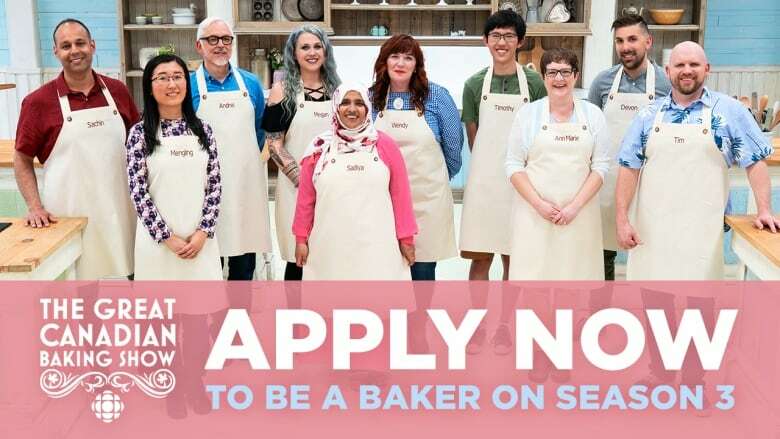 We're looking for a new round of bakers for Season 3 of The Great Canadian Baking Show. Apply now! Applications are now closed. Thanks to everyone who applied! We'll see you soon for Season 3.